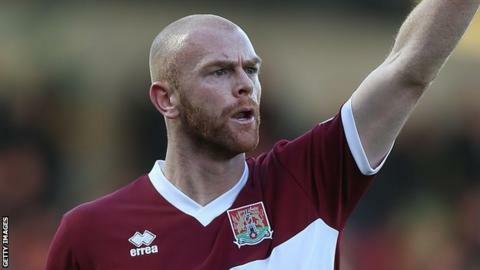 Northampton Town midfielder Jason Taylor has signed a new two-year contract with the League Two club. Taylor, 28, has been a regular for the Cobblers since joining them in January after being released by Cheltenham. He has made more than 350 league appearances during a career in which he has won promotion with Rochdale and Rotherham United. "As soon as I knew they wanted to keep me with a contract I was over the moon," Taylor told the club website.